At the time of writing this piece has been shared 30K+ times (in only eight days), it has garnered more than two million views on Facebook, over 1,3K+ comments and close to 6K likes, laughs etc. The story has gone viral. Reading through the comments it becomes painfully clear that both Lewisians and Tolkien supporters do prefer their own points of view in this particular discussion – on the friendship of two of the most successful writers of the 20th century, both devoutly Christian and with Lewis being the most successful lay apologist in the English-speaking world; a friendship which has made possible the publications of such classics as The Lord of the Rings and the Narnia novels. Unfortunately, though, it also becomes painfully clear that most commenters have not read the biographies available on both Lewis and Tolkien or their published correspondence; they haven’t had a look at Diana Glyer’s amazing research The Company They Keep which shows the fertile breeding ground the Inklings group provided for a huge number of publications; and many of them do not understand the difference between allegory and symbolism. All in all this short piece is a wonderfully made list of prejudices and public assumptions, stirring up dislike and disdain in a public forum, making fun of both while providing those who would love to see them with justification of their prejudices: Lewis texting much faster than Tolkien because he supposedly was a much faster talker than him and therefore needs to be able to type faster, the prejudices brought up against Tolkien’s uses of different topoi in his stories, Aslan being nothing but Jesus and Narnia nothing but allegory and so on. It is fiendishly well done and although research into the negative side-effects of hate speech and abusive behaviour in online communications is still inconclusive as this UNESCO report suggests many of us will have seen examples like this on Facebook or Twitter or have had this level of communication on messager software. The lack of some essential elements in communication (seeing or hearing the person you are talking to, for example) does make online communication difficult, to say the least, and has given rise to such hopes as emojis being the future of online communication. 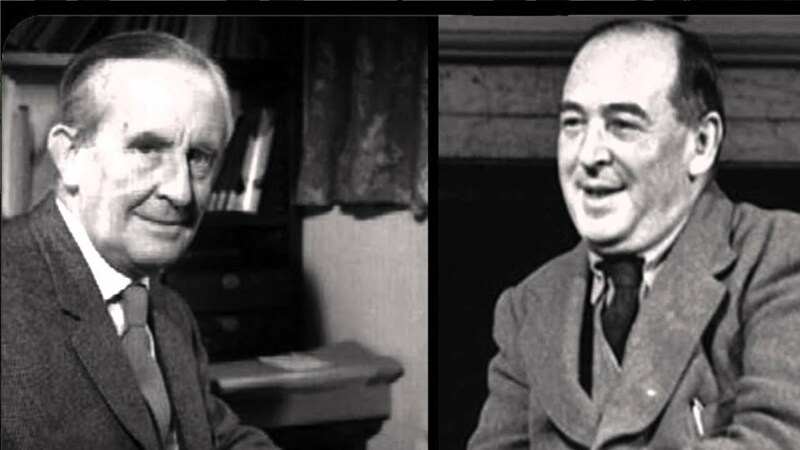 But the fact remains that Tolkien, Lewis and their friends sat down together every week for years, a group of some of the best academics of their time, pooling their creative and intellectual ressources to come up with works that have influenced generations of readers and will continue to do so, judging from the level of reaction on a Facebook post like this. Their relationships have become the basis for a multitude of publications, spawning an interest which hasn’t ceased in both its range and impact on social media in years and seems to be growing ever larger. To my mind Wisecrack – the motto of which is “Laugh harder, grow smarter” – has done a disservice to its own ‘message’ as well as those writers and their readers by reducing both of their lives and their immense impact on modern life to a list of simple prejudices. If these two had not talked about their work, inspiring each other, supporting each other then some of the most successful and influential works in the English language would not have happened. It is rather a pity that you need to post media which are nothing but a blatant provocation when Wisecrack’s Show “Thug Notes” will indeed give you a quick and great insight into literary classics – I highly recommended it in an earlier post. That just doesn’t sound like two friends dissing each other on social media. It needed to be said, it is well said and to the point! Thank you, Marcel! One nitpick (a minor one with regards to your post, but one that I do feel rather strongly about) regarding what you call “essential elements in communication”. You mention as examples “seeing or hearing the person you are talking to”, but here I have to disagree. That is not essential – the additional information conveyed is minimal. Nearly all the communicated information is contained in the words themselves, and if we are careful and exert an effort when both writing and reading, seeing and hearing the person we’re communicating with is irrelevant. If we do take care and make an effort, seeing and hearing the people we’re communicating with doesn’t add information (it may help us relate at other levels, but that is not relevant for the communication aspect). Through centuries this is how all of our sciences and areas of scholarship have developed. Newton and Leibnitz exchanged letters (which were sent round to other correspondents), and that way they both collaborated and competed in the development of the differential mathematics necessary to take physics forward. And the the formal language of mathematics had not been developed then – this was a byproduct. That would be a correct statement if people took care enough, yes. And you are mentioning a type of people – for the lack of a better word – who have been promoting discourse through an art long gone, that is, correspondence. They would have met on such high levels of communication and would have dealt with any topic on the premise of mutual respect that I need to stress why to many people today “written communication” is a closed book. A very sad observation, to say the least.